Extreme couponing is my newest fascination. For the last several weeks, I’ve been stalking extreme couponers, asking questions and learning about how I might save on my grocery bill. With the cost of the local Sunday paper now $3.00, and fewer and fewer included coupons, I wanted to know how people are saving so much money. I save money by buying generic, or waiting for sales, or shopping at the public market, but I’ve never mastered the art of couponing. The coupons are often for highly processed foods or things that I just don’t use. When there is a coupon for something I use, it’s usually a measly few cents off, and you’re required to purchase multiples in order to save. Be sure to read this post in it’s entirety to get some great tips on using coupons to save your family money. This couponer, Luanna Marcelletti, spent $12.60 out of pocket, got back $10 in gift cards from Target, $8 at Walgreens, and $63 at CVS and came home with all of this. Here Luanna spent ‎$18.53 out of pocket and got back $17. 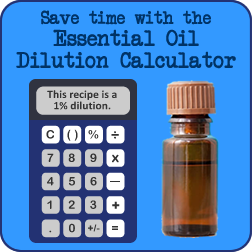 Her final cost for everything was $1.53 and she saved $240.14! Here’s the breakdown for one month. 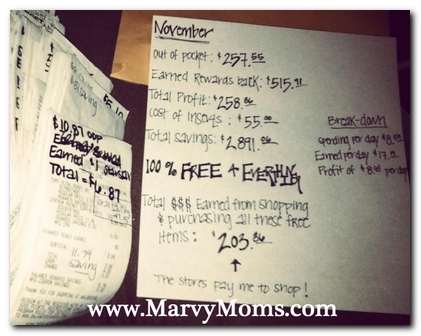 “Every single thing I’ve purchased in November has been 100% FREE & I’ve profited $203.36”, says Luanna. Extreme couponers collect coupons, wait for a sale, and get many things at a deep discount, free, or even make money on a transaction. Taking a look at someones stash, you may wonder who needs 25 shoe inserts or 15 air fresheners, or why a non-diabetic would purchase 3 blood-glucose meters. I wondered too. Let’s take the blood-glucose meter as an example. The meter goes on sale for $9.99, a diabetic coupon book contains a coupon for $10 off a meter, plus the store offers $5.00 in store credit to apply toward a future purchase. You pay nothing, and get $5.00 to spend. Plus, if you’d like, you can sell that meter on Craigslist or eBay, or give it to a friend for their birthday, or donate it to a medical clinic. Whether you want to go extreme, or just save a couple of bucks, I’ve listed some resources below to help you save money. It is actually illegal to “buy” coupons, so these coupon clipping services are technically giving you free coupons, you just pay for shipping and handling. Coupon Dede’s: Dede will clip grocery coupons from Sunday inserts for you and mail them to your home. Just buy the coupons you need! Earn rewards with every coupon ordered, so you can save even more. As a convenience, they have a free printable coupon section, however, coupons printed through this site are from www.coupons.com (and count toward your coupons.com printing limits). The Coupon Clippers: This site goes beyond grocery coupons, and will also clip restaurant coupons for you as well as store coupons which you can stack with manufacturer coupons for even more savings. Printable coupons on this site are also printed through coupons.com. Klip2Save: Another coupon clipping service, this site claims to have superior customer service. Shipping is always just $1.00 per order, so no need to worry about what your shipping cost will be once you get to the checkout. Lori Has 3 Kids: This site may be the best value yet. Coupons are sold in groups of 20 of each coupon, and rather than increasing in price per coupon, each set of coupons is only $1.00 (that’s only 5¢ per coupon). You must order a minimum of $2.00, in which case shipping is only 50¢, or get free shipping on orders over $5.00. My Coupon Hunter: At first glance, this site appears to be the most expensive of the coupon clipping sites, but that’s because he only sells in lots of 5 coupons. This is a great site if you’d like to have multiples of any given coupon. Free first class shipping on orders $5 or more and free priority mail on orders over $25. West Coast Coupon Clipping: One of the extreme coupon groups on Facebook mentions this site a lot as being reliable and reputable. There is no minimum order, and shipping costs decrease as order size increases. Orders from 0-$1.99 are 99¢ to ship, orders $2.00-$3.99 are 60¢, and orders over $4.00 ship FREE . If searching for individual coupons seems like too much effort, and you don’t want to go in for the full price of a newspaper, then ordering whole coupon inserts is the way to go. Just like coupon clipping services, the inserts themselves are technically free, however you are paying for the convenience of having someone send them to you (shipping and handling). Whole Coupon Inserts: Order single whole inserts, 4 packs of all inserts for any given week, or 10 packs of all inserts for any given week. They also sell coupon binders for organizing your coupons and have a clearance bin for soon-to-expire coupons. With over 140,000 likes on Facebook, this is a popular vendor! Note: Most of the printable coupon sites require you to download and install something in order to print coupons. This is so that they can keep track of how many you print of each offer. Beware of sites you have never heard of that may install spyware/malware at the same time. While I tried to only list reputable sites, please use at your own risk. Coupons.com: Print up to two of each coupon per device. So, the more devices, the more coupons. Examples of devices are desktop, laptop, tablet, smartphone, etc… Some HP printers are equipped with a coupons.com app and coupons can be printed directly from the printer. The Krazy Coupon Lady: Lots of great tips for beginner couponers, extreme couponers, as well as a huge list of printable coupons on various sites. If there’s a printable grocery coupon available, you’ll find it here. Red Plum: Red Plum is one of the major inserts in Sunday papers, and also has a website where you can print coupons. Smart Source: Smart Source is another one of the major inserts in Sunday papers, and you can print coupons on their website. Amazon Coupons: I had no idea that you could use coupons on Amazon, but there are bunch that are worth checking out. “Clip” a coupon and the discount is applied at checkout. Amazon Mom offers discount subscriptions to consumable kid and mom things like diapers and breast pads. PriceBlink: I use the PriceBlink Firefox extension to help me compare prices on items when I’m shopping online. It will tell me if another site has it for a lower price, and link to any available coupons. This app has saved me some real money! Printable Coupons/MommySavesBig: Before you go buy clothes, arts and craft supplies, electronics, or anything really, check out this site for a coupon that you can print out and take with you. This site is slow to load and there’s a lot of click-thrus to get to what you’re looking for, but with a little patience, it just may be worth your time! Retail Me Not: This is my go-to site for coupon codes before I make a purchase since it’s almost always at the top of a Google search for coupon codes. I love that they have a section just for free shipping codes. I can almost always find a coupon for a site that I’m shopping on. Printable grocery coupons are through www.couponnetwork.com. All Things Target: This is a blog dedicated to helping people get great deals at Target. They list match-ups, clearance, Dollar Spot, and online deals. They take it a step further by blogging about DIY and craft ideas made from Target items. You will sometimes see deals listed for stores other than Target, but they are definitely Target-focused. One Frugal Chick: Natasha is One Frugal Chick, and she scours the web to find you deals. One very useful spot on her website, is her Amazon Deal Finder where you can search Amazon by category and percentage off. She also has links to the major coupon printing sites. The Green Cabby: Daniel Martin posts videos on YouTube about how to save money with coupons, including a very helpful video about how to organize your coupon binder. Raining Hot Coupons: The voice of this website is a woman named Sarah. She tells you about hot deals on things all across the web. You can also follow her on her Facebook page so you never miss a good deal. They have a printable coupon section as well as links to coupon policies for Walgreens, Rite Aid, Walmart, Target, and CVS. Sunday Coupon Preview: You never have to guess what coupons will be in the Sunday paper if you check out this website first. Many coupon websites include this information, but this site is where to go if you don’t want to get lost in all of the information available on other sites. These are the came coupons that are available from Coupons.com listed above, and I’ve added them here for you to make it even easier to get them! 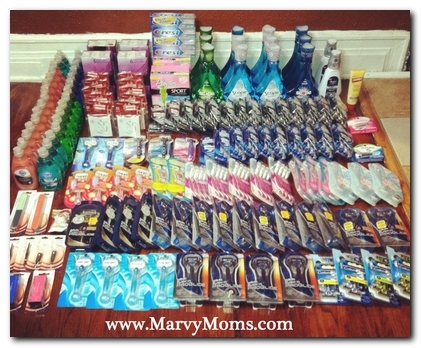 Extreme couponing truly is a sport, with a lot of rules to remember and tricks to learn. To really master it, you may consider getting a coach or a mentor to help you out. In Rochester NY, there are at least two extreme couponing Facebook groups. One is for learning about couponing, and the other is a group where extreme couponers cheaply sell items out of their stockpile. Chances are there are Facebook groups local to you too. How much do you save each week using coupons? After reading this, do you think you can save more? 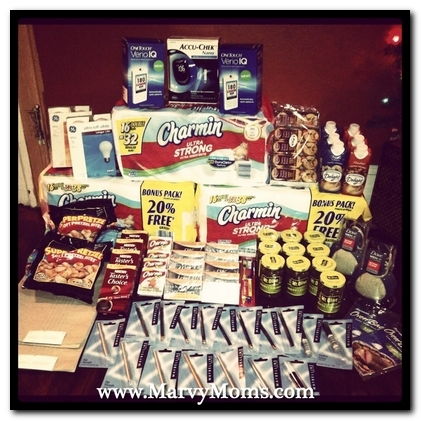 Marvy Moms posts weekly Coupon Insert Previews. Sign up for our email updates so you never miss a coupon! There are a couple of online sources for whole coupon inserts listed above. I also discovered that there are some “underground” coupon sources locally that people may not be willing to discuss openly. I suggest finding a local couponing group on Facebook and see if you can find a local source that way. Some people ask friends, family, or neighbors to save their inserts for them if they don’t use them. Lots of hotels get bulk Sunday papers and don’t mind allowing you to take a few inserts from them at the end of the day. Restaurants usually have a few sitting around and many don’t object to you taking the inserts (ask first, of course). I find that even the cheapest insert websites end up being costly after paying s/h charges, so after three years of buying them, I stopped and now just print online or occasionally use a clipping service if there’s a really good q I need a lot of. 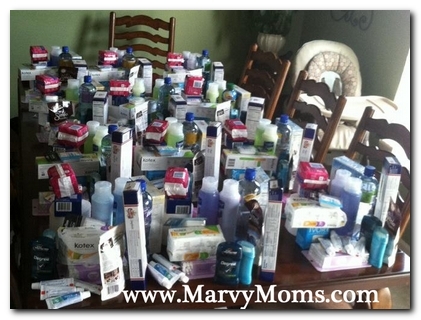 People get carried away when they first begin couponing and just go crazy stocking up on every free item available. I’m new to this & I was just wondering how to find the best deals and how far ahead do I have to purchase the coupons to use on them deals? Michelle, try doing a Google search on coupon matchups with the name of the store you shop at to see if you can find the best deals. Bloggers will match up coupons with store sales so you get the biggest savings. From what I’ve heard, it can be a few weeks after the coupons come out before the best deals come up. Store sales tend to last for a week at a time so it’s probably best to not wait for the matchups to be announced before getting the coupons as you might not get them in time otherwise. Elizabeth, there are several links in this article to coupon clipping services as well as a place to order whole coupon inserts. These include coupons from RedPlum and SmartSource. I also post weekly coupon insert previews on Marvy Moms so you can plan ahead. Stephanie, did you see the links within this article? There are a few great coupon clipping services listed where you can have coupons mailed to you. hi. i am from Puerto Rico and when i go to they website to order ,they dont send to my country.how can i get inserts by bulk. Nenz, how can I help? What are you you struggling with? Ellen, you may want to start with ordering coupons from places like Klip2Save that will send you just the coupons you need. What the heck? I click on Faith and Hope coupons and they have nothing to offer????? What a disappointment. In central Florida we no longer get Red Plum coupons in our paper. We were told it is because of people that stockpile and then sell the products at flea markets and yard sales. So we are being punished and have to buy their coupons on top of the cost of the paper for other coupons. I kind of cringe every time I see tables loaded with items people bought to re sell. I know people need money but some of us are being punished. That would be frustrating, Linda. I think many people only buy the paper for the coupons. In that case, I think it’s more economical to pay someone to clip just the coupons you need. Since I don’t personally stockpile coupons and products, I find very few coupons each week that appeal to me. However, when there’s a good one I wish I had several of them. That’s the beauty of services like Klip2Save, and why I do a weekly preview post so people can get just the coupons they want. I’d suggest contacting RedPlum. Perhaps they’d be willing to send the coupons directly to you or if enough people complain they will begin offering them again. I hope they do! The local stores have Sunday papers that I am okay with buying, however, people continue to steal the coupons from the Sunday paper. I have asked around locally about Sunday paper delivery, but almost universal opinion indicates that it is unreliable and a waste of money due to many time the papers not showing up. Where can I go online to find Sunday paper coupons to print? Hi, Crin! That does sound frustrating! Although RedPlum and SmartSource have some coupons available online, no site is going to give you the exact coupons that are in the paper to print at home. I think the best deal is to use a coupon clipping service so you only get the coupons you need. Lots of great resources are listed within this article. Ivette, try some of the resources listed above for full inserts. Sometimes you can find someone local that has them available or try getting them from friends or family that receive the paper, but don’t use coupons.